Ayurveda Churanam for nerve weakness is prepared from Vata harana herbs. Bala a vata harana is used for activating the function of the nervous system by increasing blood circulation. Ashwagandha herbs have stress-relieving component and bring excellent protective effects on human’s nervous system. Kapiikachu(cowhage) seeds are used as a nerve tonic. Take seeds of Kapikachu and soak it in cow milk to purify the seeds. Dry the soaked seeds and make powder. Black gram contains a broad range of nutrients and offers a whole host of health benefits for the immune system. Take 50 gm of Bala root (country mallow)root churanam/powder. Take 50 gm of Ashwagandha root churnam/powder. Take 50 gm of KapiKachu churnam/powder. Take 50 gm of black gram black gram. Mix well all the four churnam/powder and store it in a bottle. Take a tablespoon of churnam and boil it in 50ml of water until it becomes 20 ml. Take it twice daily to have healthy nerves. Ayurveda medicines like Chawanprash and Chathurjatha Rasayanam are beneficial to overcome nervous weakness. Juices are very easy to digest and give you instant energy. Juice therapy is an easy method of treatment to strengthen your nervous system. Extracts of Orange, Pineapple, Apple, Carrot, and beet are very much beneficial to improve your nervous system. The green color is considered a color of harmony. It is useful in the treatment of a nervous condition. Green color rays are directly applied to the patient for a 30-minute duration is enough to get a good result. . Suggested Yoga Asana for Nerve weakness. Dwi pada vishrutha dhanurasana and DWI hasta vishrutha salabhasana. Yoga poses like Back-stretching, Corpse, Headstand, Hero’s, Meditations Poses, and Mountain poses, Warrior’s, standing stretch also poses very much beneficial in strengthening your nervous system. Badhapadmasana is very effective yoga asana to overcome nerves disorders and nerves weakness. Pranayamas like Nadishodhana pranayama and kapalbhati pranayama are magnificent to overcome nervous weakness. 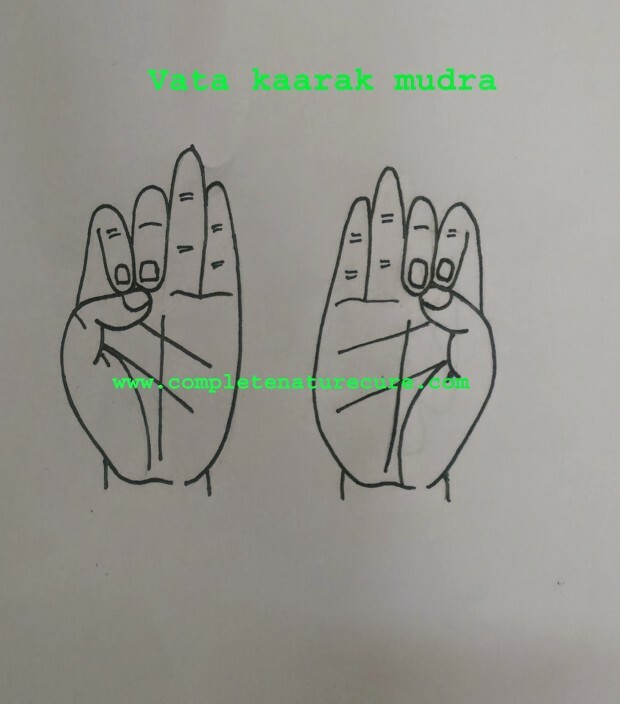 Mudra works according to the principles of Ayurveda. 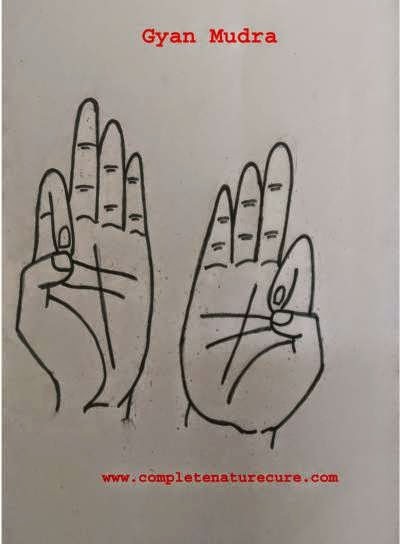 Mudras are efficient to manipulate Doshas (Vata, Pitta, and Kapha). It is so simple that anyone can do it and there is no need for any expertise to do it. 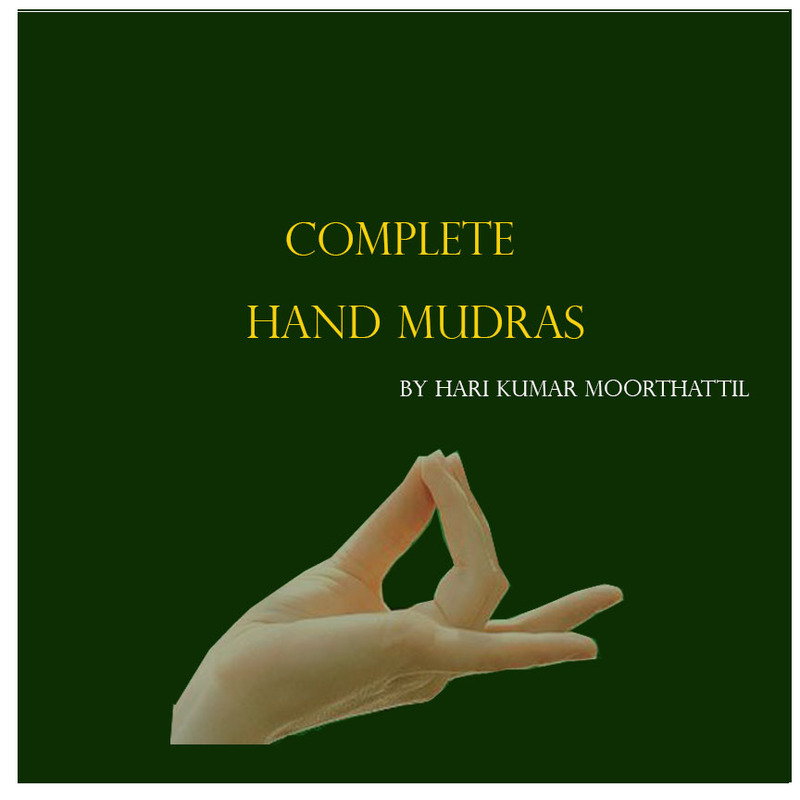 To know more about these mudras click on the links. Home Remedies For nervous weakness. Home remedies like Garlic, Garlic milk, Lemon, Nutmeg, The herb Chamomile and The herb aloe. Garlic: This vegetable should be cut into small pieces and taken with a teaspoon of honey with every meal. If you use it regularly, it will help to overcome nervous weakness. Garlic milk: This milk can be prepared in two ways, One is in cooked, and another is an uncooked state. The uncooked and natural form is the most effective than cooked. The Garlic milk is prepared by adding the pulp of the crushed garlic in uncooked buffalo milk. The ratio is four cloves to 110 ml of milk. Another way is to boil the garlic in milk. Lemon is the best home remedy to strengthen the nervous system. Regular use of lemon juice prevents the deposit of uric acid in the tissues. Ayurvedic or Yoga massages are very much beneficial to overcome nerves weakness. Massage is a passive exercise which will strengthen the nerve. If you are not able to practice any physical activity, then massage therapy is the best choice for you. Ayurveda treatment like panchakarma is very useful in this condition. Ayurveda has the most effective herbs that help in the effective treatment of nervous disorders. Fortunately, there are many natural and organic Ayurvedic medicines available in the market. Below are few of the best to treat nervous disorders and enhance their functions. Morpheme Remedies are all about using the secret ingredients of Ayurveda. It uses both ingredients and techniques of Ayurveda and provides fine products to relieve diseases and enhance the health of humans. They take into consideration many scientific proofs before producing the Ayurvedic products. Morpheme Remedies has given the world the finest product of the Kapikachhu herb. Kapikachu also was known as Mucuna prurient is a tropical legume. It is one of the common herb used in Ayurveda for many nervous disorders. It plays a significant role in relieving from many mental and psychological disorders. Below are few of the health benefits of Kapikachu. It Contains L-dopa, a necessary precursor to the neurotransmitter known as dopamine, thereupon increasing the levels of dopamine. It helps in controlling and relieving from seizures, depression, mental focus and effectively treating Parkinson’s disease. In Ayurveda, Kapikachhu is one of the few herbs that primarily balances the Vata dosha, alongside balancing Pitta and Kapha dosha. Himalaya Ashwagandha contains natural extracts of Ashwagandha with all the beneficial factors intact. Ashwagandha is one of the few herbs that is used in treatment of number of diseases and promoting overall health. Ashwagandha is an adaptogenic agent which stabilizes physiological factors and promotes homeostasis. Ashwagandha is one of the best herb to relieve from nervous disorders and promote health. Below are the few benefits of Ashwagandha. Balances the imbalances in the body resulting from environmental and lifestyle issues. According to recent studies, Ashwagandha is one of the important herbs in Ayurveda which kills cancer. It has anti-carcinogenic effects on cell cultures which decrease the effect of nuclear factor-kappa. Thereupon suppressing necrosis factor of the intercellular tumor and potentiates apoptotic signals among cancerous cells. Take 1-2 capsule of Ashvagandha in a day. Gotu Kola is the spiritual herb of ancient India and Ayurveda. Growing in the Himalayan regions, it is primarily known to balance the right and left hemispheres of the brain and also develop the crown chakra. Hence, it is used by yogis to improve and deepen the meditative states. From these factors, it is clear that it helps in improving the functions of nervous system. There are many other benefits this herb poses on the human body. Cleanses and strengthens the adrenals. Treats many disorders related to heart functions, blood diseases, and skin diseases. All these factors fight the primary diseases and symptoms of nervous weakness like anxiety, stress, depression and mental health. Take 1-2 capsules in a day. Epsom Salt is a natural mineral rich in sulfate and magnesium are known to soothe soul, body, and mind. It has been in use for a long time in the bath, as the components are readily absorbed through the skin. It is known for its prompt and efficient remedy for various ailments which does by activating over 325 enzymes in the body. Magnesium facilitates proper usage of calcium, thus improving the conduction of electrical impulses. Sulfates increase the rate of absorption of nutrients and flush the toxins. It also helps in easing migraines. It also has various beauty benefits. Chamomile tea is famous for its health and beauty benefits which are in use for centuries. The extracts of the chamomile flower are used for chamomile tea. The origins of chamomile flower are from daisy gang. Alongside these health benefits, it possess antibacterial properties and beauty benefits. Goodwyn Chamomile contains natural and organic chamomile flowers and is free of caffeine. Farming and processing are all done in their tea estates with refreshing benefits. St. John’s Wort famously known as nerve tonic is the most commonly used herb to enhance nervous system. It has been studied by many scientists and has been proven to be the best herbal supplement. It is the best herb that boosts the overall health of the nervous system. Passionflower, as the name goes, provides more excellent health benefits to both body and mind. The components of passion flower act as sedatives and tranquilizers. It relaxes the nervous and muscular system and promotes psychological health. The alkaloids and flavonoids are the principal elements that account for numerous health benefits. These Ayurvedic medicines play a great role in treating and enhance nervous functions. Besides, there has to be a positive change in the lifestyle to see and enhance the benefits of these medicines. Below are few of the lifestyle changes that have to be considered to treat nervous disorders. Nervous weakness is one of the most dangerous disorders. As mentioned above, it not only damages the physical health but also destroys the psychological levels to a great extent. Prevention is always better than cure. The natural herbs mentioned above not only treat nervous weakness but also promotes and enhances daily life. It is always wise to take precautions. The techniques and herbs mentioned above are not robust to follow. All you want is a right healthy and happy mind. These are the natural treatment to overcome nervous weakness, do you know any other method of natural therapy to overcome nervous weakness. Let me know if you tried any natural treatment that helped you to overcome nervous weakness in the comments.